Bill O’Reilly Furious Over Accusation He Falsified War-Reporting In Falklands, Left-leaning publication Mother Jones alleged that O’Reilly falsely claimed to have been ‘in the war zone’ where he ‘survived combat’ while covering the 1982 war for CBS News. Friday night, he attacked the story again on his show calling one of the authors, David Corn, a “liar,” as he asserted that everything he’s said about his reportorial career is true. But Saturday, Eric Engberg, a retired CBS News correspondent who was in Argentina with O’Reilly in 1982 also covering the story for the network, posted his version of events on Facebook and they are decidely at odds on several points with O’Reilly. Furthermore, Engberg’s words paint O’Reilly as a grandstanding, novice reporter who ran afoul of CBS News brass with his hotdog behavior. Did Fox News bloviater Bill O’Reilly commit Brian Williams type fabrications when he claimed he had been in a “combat situation” while working as a reporter for CBS News during the Falklands War in 1982? Did he pad his resume’ as he was laying claim to personal knowledge about what happens in war? The issue has arisen because the “Mother Jones” magazine Washington bureau chief David Corn has written a story, largely based on recollections of CBS News senior staffers, comparing O’Reilly’s statements about his war experience to the fabrications which sent NBC anchor Williams into a six-month suspension. … O’Reilly has said he was in a situation in Argentina where “my photographer got run down and hit his head and was bleeding from the ear on the concrete and the army was chasing us.” The only place where such an injury could have occurred was the relatively tame riot I have described above. Neither Doyle [CBS Buenos Aires bureau chief Larry Doyle], who would have been immediately informed of injury to any CBS personnel, nor anyone else who was working the story remembers a cameraman being injured that night. No one who reported back to our hotel newsroom after the disturbance was injured; if a cameraman had been “bleeding from the ear” he would have immediately reported that to his superiors at the hotel. This part of O’Reilly’s Argentina story is not credible without further confirmation, and O’Reilly should identify the cameraman by name so he can be questioned about the alleged injury. The gunfire reported by O’Reilly is equally suspicious. One of our camera crews reported that they believed the Argentine police or army had fired a few rubber bullets at the crowd. That was the only report we received of weapons being fired that night. The crowd had been confined to a relatively small area around the president’s palace. It wasn’t like there were protests going on all over the city. I did see soldiers armed with rifles on guard around the presidential palace. But they did not take aim at the crowd and I heard no gunfire. No one I talked to as the crowd was breaking up told me they heard gunfire. O’Reilly’s claim that the army fired weapons into the crowd is not supported by anyone’s recollection. Had that happened, I believe, the riot would have escalated into an uncontrollable attack on government buildings all over the capital. Nothing like that happened. Actually, the military chiefs, yielding to the public outcry over the war’s outcome, were willing to give up their offices, which they did the next day. … I am fairly certain that most professional journalists would refer to the story I have just related as “routine reporting on a demonstration that got a little nasty.” O’Reilly, in defending himself yesterday against Corn’s “Mother Jones” piece, said “We were in a combat situation in Buenos Aires.” He is misrepresenting the situation he covered, and he is obviously doing so to burnish his credentials as a “war correspondent,” which is not the work he was performing during the Falklands war. I don’t think it’s as big a lie as Brian Williams told because O’Reilly hasn’t falsely claimed to be the target of an enemy attack, but he has displayed a willingness to twist the truth in a way that seeks to invent a battlefield that did not exist. And he ought to be subject to the same scrutiny Williams faced. Engberg, an eyewitness, coming out on Facebook two days after the story was published does feel like the eyewitness military personnel who came out on Facebook to challenge Brian Williams’ account of his actions in Iraq in 2003. I have no idea where this story will go next, but I do want to hear more from Engberg. His opening description of O’Reilly as “Fox News bloviator” might suggest to some that he is no fan of O’Reilly, but his career at CBS News is a good one that includes winning a top investigative reporting award. Though it is 33 years after the fact, this testimony certainly provides a new challenge for “O’Reilly – and demands some answers from the Fox show host. YOU KNOW THERE IS SOMETHING TO BE SAID ABOUT THESE ISSUES,THEY BOTH HAVE INSIDE VISIONS OF BEING RAMBO,SO WHAT BETTER WAY THAN BLOW A LITTLE SMOKE UP CERTAIN PEOPLE,US AMERICANS THAT I WAS A BAD SON OF A GUN AT THE TIME OF COMBAT.JUST A LITTLE SMOKE! !POINT BEING,EVERY GUY WOULD LIKE TO SAY HE FOUGHT IN A WAR FOR THE GRANDCHILDREN.JUST WANTED TO HAVE A MOMENT IN THE SUN. I’M CLUELESS WHAT YOU MEAN “FIELDS”LOST ME. Timing is everything. If it was an issue at the time, however many years ago, why wasn’t addressed then, with either O’Reilly or Williams? And of course Mother Jones has no agenda to advance. I think smoke blowing only works with those impressed by smoke. At least NBC had the guts to fire Mr Williams an preserve some integrity. I’m willing to bet FOX will not do that with Bill. FOX has no integrity that is why their news media was recently downgraded. I also think that both do all the can to put a bias spin on the news. For example Mr Williams leaning into the camera to stress a point. My favorite was his reporting on marijuana legalization in Colorado. Seemed to me like every time he pronounced the word, it was lean into the camera along with a camera close-up. Both are shitheads. No, ….. he’ll be given more air time, a better time slot, and a raise. That’s Fox!!! The report was false and unreliable. Where is the wounded cameraman. certainly one would stay in touch with someone who saved his life in a combat zone. Where are the photos? The story seems to be an exaggeration by a small man looking to burnish his reputation. Shame on him. Thank you to the people who did and do serve. And, to those who accurately report the story. bill looks like a captain in that picture. Wasn’t Brian Williams in a “combat zone” by O’Reilly’s definition? When has anything reported on FOX News true. All semantics – the panel is so desperate to find something fabricated they say O’Reilly lied because he said he was in a War Zone. Big deal, there was a war on and EVERYONE knew no one was allowed close to the action in the islands. Also, they seem to accept that he did reporting when no-one else did. The characterization of “Lies’s” is way too strong for what transpired. Everyone knows these media personalities have big ego’s and I don’t believe O’Reilly is different. Let’s see there were bullets, there was a war, it was a dangerous situation, hence requirement of not having lights, it was dangerous. It wasn’t challenged as being untrue at the time. It came only after Brian Williams ran into a problem by a veteran reporting on the problem, not an ideologue in the media who hates his competition and has zero objectivity. Oh, did I mention the story is 33 years old? Yep. No problems here with this story by Mr. Corn, a political hack. Just good ole objective honest reporting – at least to those who couldn’t recognize objectivity if it came up an bit them. The liberal news media is trying as hard as they can to find something that Bill O’Reilly said once. His saying 33 years ago that he was in a war zone is nowhere near the same thing as saying that he was in a helicopter that was shot down. And, Brian Williams repeated that story many times in his career on various talk shows, trying to get as much mileage out of his very exaggerated story as he could numerous times down the line. Seeing a bully like Bill O’reilly” furious” about taking his own medicine is like watching the devil cry! Let the good times roll! 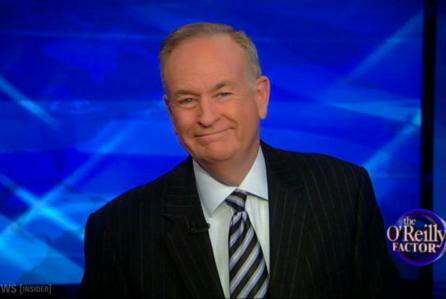 Seeing a bully like Bill O’reilly” furious” about taking his own medicine feels as good as watching the devil cry! Let the good times roll!